When saving for retirement, many people use a Self-Directed Solo 401(K) plan. This plan is designed particularly for small businesses which employ only themselves and their spouse. Since passage of the Economic Growth and Tax Relief Act of 2001 (EGTRRA) Solo 401(K) plans became a much better choice for sole proprietorships. This law allows one to reap all of the benefits of Traditional 401(K) plans with a number of significant advantages. Under the 2018 rules, a Traditional IRA only allows someone to contribute a maximum of $5,500 annually until the age of 50 or $6,500 50+. However, a Self-Directed Solo 401(K) is more generous. Under the age of 50, the Self-Directed Solo 401K) plan allows you to contribute a maximum of $18,500 annually, and $24,500 each year after then. Perhaps the most significant advantage to a Solo 401(K) is the permitted profit-sharing contribution. Your business can also make a profit-sharing contribution of 20%, until a combined maximum limit of $55,000 is reached. After the age of 50, a $6,000 “catch-up” contribution can be added which increases the combined maximum amount to $61,000. 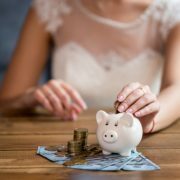 If your spouse also contributes to the business, you can both contribute funds into your own accounts, which effectively doubles all of these limits. Another benefit of a Self-Directed Solo 401(K) is a Self-Directed Roth IRA Option, which allows you to make after-tax contributions, unlike the Traditional Self-Directed 401(K) which only permits pre-tax contributions. In order to qualify for a Self-Directed Solo 401(K), your business may have no other full-time employees besides you and your spouse. The business also must pay you a salary or wage as an individual. The deadline for establishing a Solo 401(K) plan is the last day of your business’s tax year (December 31, for a calendar tax year). However, if the business is incorporated, you would probably want to form your Self-Directed Solo 401(K) early in the year because you cannot contribute any income which is not earned that year before the Solo 401(K) was formed. Your Self-Directed Solo 401(K) plan can invest in almost anything. This allows you to both diversify your investments or and maximize returns – whichever is more important to you. If you invest funds from your Self-Directed Solo 401(K) in real estate, there are significant tax advantages. When purchasing real estate, you can use nonrecourse leverage which avoids UDFI rules and is exempt from UBTI taxes. This is a substantial savings, as the UBTI tax is approximately 40% for 2018. There are also tax deductions which can be claimed when using a Self-Directed Solo 401(K). Because you are paying for the Solo 401(K) with business funds, you could claim the cost of the plan as a tax deduction. Unlike many other retirement plans like Self-Directed Traditional IRA plans, which are forbidden from making loans, you can borrow money from your Self-Directed Solo 401(K). This can be up to $50,000 or 50% of your account value. There are no restrictions on the use of these funds. An additional benefit to this type of loan is the interest rate, which is essentially 0%, since you are both the lender and the borrower. 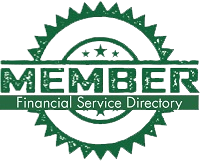 For more information on Self-Directed IRAs or Self-Directed Solo 401(K)s, call us today at 866-7500-IRA (472) or visit us at www.AmericanIRA.com. How to Tell Whether Your Portfolio is Truly Diversified…Should Self-Directed IRAs Be Part of Your Plan? The 50 Best Cities to Live In…But What if You Have a Self-Directed IRA? Flipping ‘Contracts’ With Self-Directed IRAs? Self-Directed IRA Private Lending Americans Need to Save More. Here is How Self-Directed IRAs can Help.